You are here: Home » Taxation May Fund The LRT, Will Rob Ford Fight it? 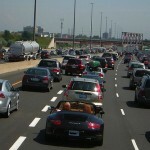 Taxation May Fund The LRT, Will Rob Ford Fight it? 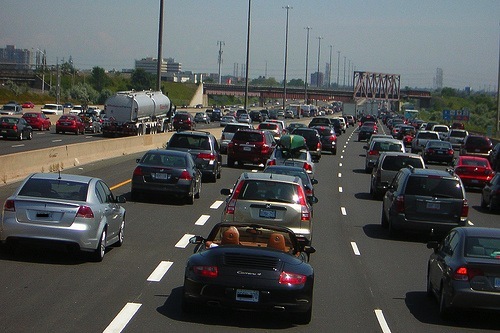 The city of Toronto is facing a serious traffic crisis that will only get worse in the next 5 years, and community groups are looking into a small sales tax increase to fund the Metrolinx. The Toronto Region Board of Trade and CivicAction are using Los Angeles as an example, which passed a 0.5 per cent regional sales tax in 2008 with the required two-thirds majority to raise $40 billion for LRT and subway projects (Source: The Star). This may be next to impossible considering that Mayor Rob Ford run for office on an aggressive Tea Party rhetoric that vowed to end “The war on the car” with something as ridiculous as cutting a $60 vehicle registration tax. When in office, Ford eliminated bike lanes and halted a $8 billion light-train project already under construction. Toronto ranked the 5th richest in North America in 2012, so the city can certainly afford a .05% sales tax to invest in a transportation system of and for the 21st century. The project will generate over 400,000 jobs and eliminate a traffic problem that costs the city $3.3 Billion per year. According to CivicAction, the Metrolinx will save commuters 32 minutes of daily commute thanks to a “seamless, integrated transportation grid across municipal boundaries from Hamilton to Newmarket to Oshawa and across the core of Toronto”.